Episode 75: Free Speech and Facebook: Will Social-Media Companies Become the New Adjudicators of our Constitutional Rights? With over 1.86 billion monthly active users, Facebook is increasingly expected take on the social responsibilities of managing cyber bullying, censoring hate speech while at the same time ensuring that free speech is protected. As an example, 87% of cyber bullying among teenagers occurs on Facebook, while over 87 million people may have had their data harvested by Cambridge Analytica, which some experts say may have impacted the 2016 Presidential Election. There is also growing distrust among conservatives that Facebook censors their conservative voice on the social platform. Today, we discuss the nature of free speech, corporate responsibility, and the ethical concerns for placing our trust in a corporation to safeguard our constitutional rights. In many regards, the advent of social media has enabled us to be closer now than ever. We can connect with families and friends, share our accomplishments, and post other milestones that would have not been possible in the past (and these connections are often instantaneous). This is particularly relevant considering that people are transient and who often live thousands of miles from their closest relatives. Social media has been so ingrained in our society that, according to recent research from PricewaterHouseCoopers, 78% of millennials have indicated that access to social media technology would make them more productive at work, and they are more likely to work for companies that offer designated social media breaks. Advertising companies have capitalized on this phenomenon. 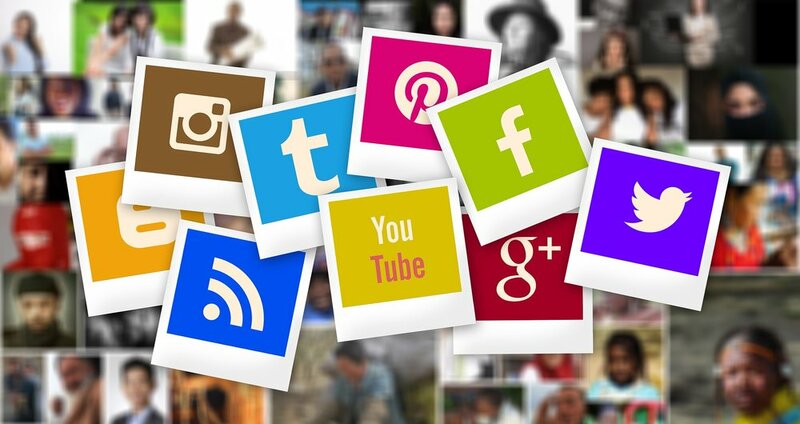 Per a recent study conducted by Hubspot, 92% of marketers considered social media marketing as “the next big thing” with another 80% of marketers believing that social media marketing was instrumental in driving activities to their sites. To drive the point even further, Convince&Convert found that 53% of Americans who followed a brand on social media also reported higher brand loyalty. Unfortunately, social media can be the main reason for losing one’s job. According to CareerBuilder, 52% of employers acknowledged that they use social networking sites to check up on their job candidates before hiring. Forty-nine percent of employers have acknowledged not hiring a qualified candidate because of what they found on social media. Another 28% admit that they have dismissed employees who have used social media for unrelated job activities. Posting social media feeds can also be grounds for termination (18% of employees have been dismissed for this very reason). According to the Human Needs Theory, we are all driven by the need to connect, share, and be a part of a larger community. By that logic, social media should be good for us in promoting such needs. However, a recent study in the Journal of Social and Clinical Psychology found that increased usage to social media platforms such as Facebook was significantly correlated to higher levels of depression, low self-esteem, and even jealousy. The researchers argued this to be the case because of our tendency to make social comparisons with others. For instance, “liking” a photo on Facebook of our friends vacationing in Maui can result in jealousy and the fear of missing out since we didn’t have the opportunity to experience that. Thus, we feel worse about ourselves and our current situation in life. Over indulgence in social media has reduced the amount of time we spend with each other and prevents us from having real conversations. A 2015 study entitled Does Mode of Contact with Different Types of Social Relationships Predict Depression Among Older Adults? Evidence from a Nationally Representative Survey found that older people who reported spending more face-to-face time with friends and family also reported lower levels of depression. Those with less face-to-face connections have higher levels of depression. It is very common to see people sitting together while engaging in social media platforms. They are great for communicating, keeping in touch, and staying connected; however, social media may encourage us to hide behind these platforms to create unreal personas. In conclusion, social media is great for networking, but, like all things in life, we should use it in moderation! What do you think? Is our obsession with social media an unhealthy one? Drop us a line at info@ologyresearchgroup.org, and we’ll make sure to mention you on our weekly podcast! *Maisha Hodari-Okae is a Research Associate at Ology Research Group. She is presently a doctoral student, pursuing her PhD degree in the Social Sciences with an emphasis in Conflict Resolution studies. She also holds a Master of Arts degree in Diplomacy and Conflict Management.